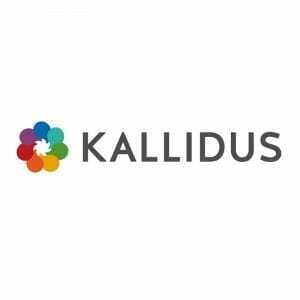 Kallidus is a leading provider of learning and talent solutions, with 15 years’ experience in making learning and talent a success for over 200 clients. Their award-winning, cost-effective SaaS solutions are delivered by a dedicated team of specialists and the industry’s most innovative software developers. Above all, their passion for delivering outstanding customer service drives everything they do. Through their integrated learning, performance, 360 and talent management technologies, and immersive e-learning content, they support people development within public and private sector organisations of all sizes. Since Kallidus was founded in 2000, they have built a loyal and rapidly growing customer base, including many leading brands operational across the UK and worldwide, such as Boots, O2, Transport for London and Eurostar. Integrity, teamwork, commitment, adaptability and quality are central to everything they do. Their employees are passionate about the Kallidus values, and it is this commitment that has helped them to achieve rigorous quality standards including ISO 9001 and ISO 27001, Investors in People and The International Standard for Service Excellence, as well as peer recognition through a number of highly regarded industry awards, such as the Learning Awards. Prestbury Marketing provide marketing support to the in-house marketing team.